Many of us who work in desk jobs end up with back problems. In fact, back complaints are one of the most common reasons for visiting the doctor and taking time off work. So, there must be a way to tackle this problem pro-actively without waiting for a problem to arise. That’s where FlexiSpot’s stand up desks come in because they are an efficient way to deal with current back problems and prevent new ones from arising. I got the chance to try the FlexiSpot 27″ (69cm) M1W wide Stand Up Desk with wider keyboard tray and height adjustable standing desk riser. 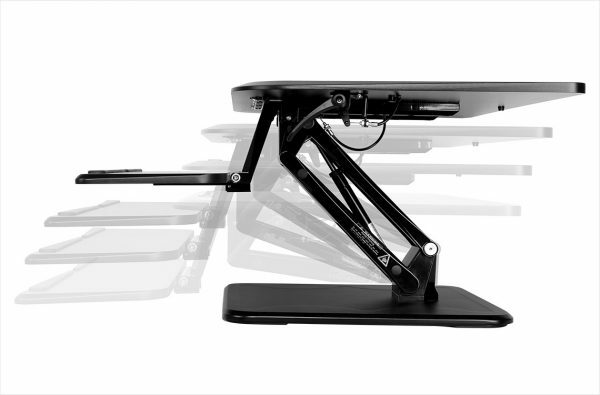 This desk works with a gas spring hovering system to allow smooth, stable adjusting of the sitting to standing mechanism. It can be adjusted with a squeeze of the handles. 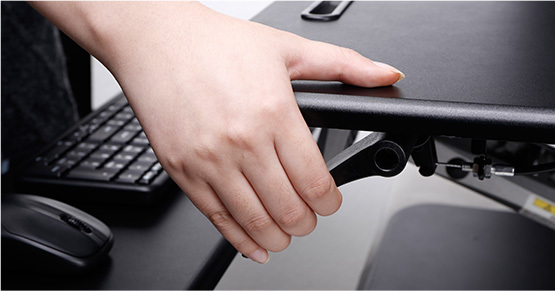 It also has a special keyboard tray for dealing with wrist fatigue and carpal tunnel. It has a large work surface and a wide keyboard tray so everything you need for your job should be within reaching distance or reading distance for the monitor. 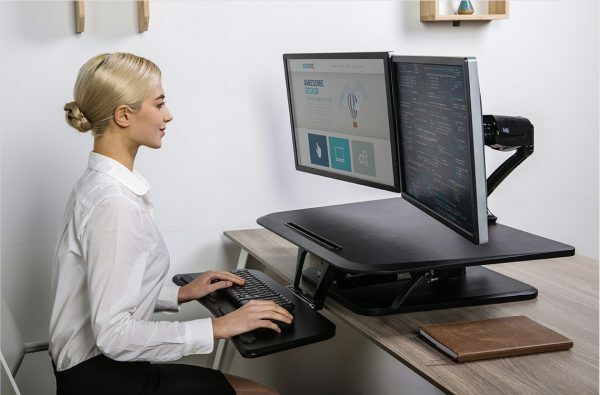 The workstation rises and folds vertically and there are 12 height levels to transition you between sitting and standing and it should be suitable for short and tall people alike. 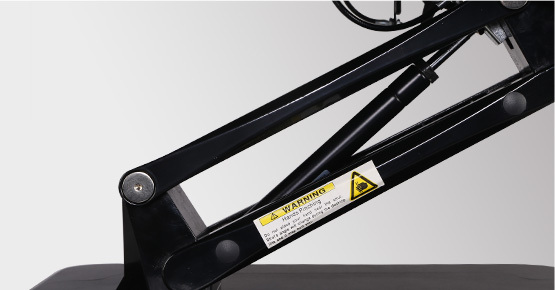 It can also support up to 16kg of weight and it has undergone a fatigue test of 6,000 height adjustments. So, no matter how many times you adjust it, the durability should not be affected. It comes in both black and white and I tried the white model. It has a really attractive matte finish and looked fresh and crisp, blending in well with the décor. As someone who suffers from a back and pelvic complaint I thought this might be a good option for me. It does have a two-man set up recommendation but one of the Amazon reviews I read countered that. A customer who claimed to be a short woman with a back complaint said she managed to set it up and adjust it all by herself. I think she must have superpowers because there is no way I would have been able to do this. The best option is to stick to the recommendation from FlexiSpot and get two able-bodied people to set this up and do any lifting. It is a very heavy piece of furniture! Moving the desk up was easy. Being new when received, the springs were fresh and it lifted very easily. It’s actually best to stand back so you don’t get lifted with the desk. However, pushing it back down again required some help. I’m 4ft 10 and weakened by my back complaint and found I needed assistance to do that. 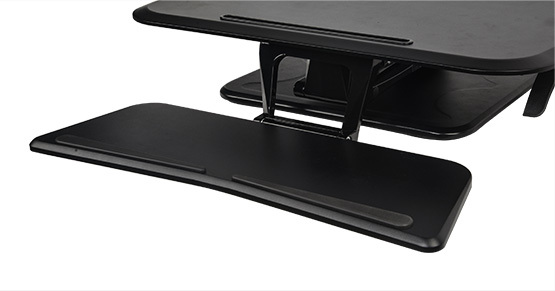 The FlexiSpot standing desk was certainly useful during a recent flare up of my problem. Sitting too much can really irritate back issues so being able to stand while working, without slouching over, really increased productivity. My husband found the same when he recently damaged his back, so if it’s a recurring problem it is well worth considering investing in this item. Those who don’t already have issues may not see the benefit but a pro-active approach is always a good idea. 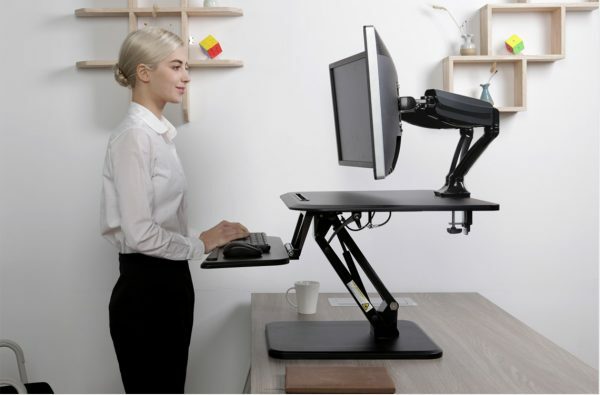 It’s better to invest in a FlexiSpot standing desk before you need to invest in a chiropractor. 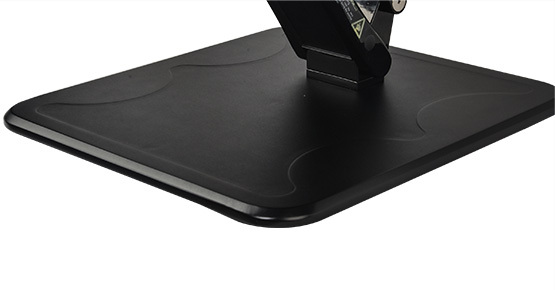 You can read more about this product from the FlexiSpot website or by viewing it on Amazon. It has a RRP of £245.95.